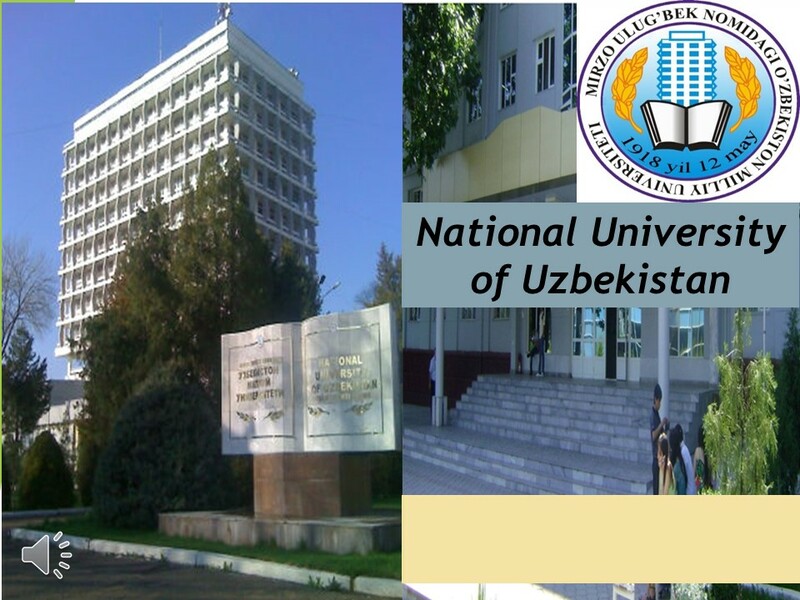 On October 19-20, 2018 the EU-Uzbek DSinGIS project is inviting to attend the International Scientific and Practical Conference on "Scientific - research work in the field of Geoinformatics: current state and prospects" to be held at the National University of Uzbekistan, Tashkent. Thematic cartography, web-cartography, mapping services and its applications. Cadastral services in the management of natural resources. Geoinformatics in environmental protection, rational use and management of land and water resources. Application of geoinformation technologies in architecture and construction. Processing and analysis of remote sensing data. Geoinformation technologies in the education system. The role of geoinformation technologies in the Earth sciences. The conference is aiming at professors, teachers, young scientists, undergraduates, outstanding students and specialists in this field communicating their scientific research and results: presenting inventions and proposals that reflect original ideas with papers relating to the topic of the conference. 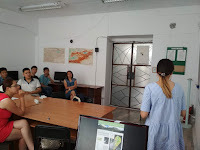 Dr. Ainura Nazarkulova, University of Salzburg - Z_GIS, currently an Erasmus+ Visiting Researcher at KSUCTA is conducting a Workshop on "Spatial Representations and Spatial Data Infrastructures" at ACA*GIScience hosted at Kyrgyz State University of Construction, Transport and Architecture (KSUCTA). GEM Master and PhD students as well as several young researchers are attending this workshop to learn about the foundations of Spatial Data Infrastructures. In addition, new technological developments and international project opportunities are presented and discussed in this workshop. 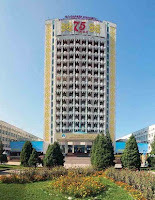 The annual ‘GIS in Central Asia’ Conference - GISCA 2018 "Geoinformatics for Regional Development" has issued the Call for Papers and has opened registration for the conference scheduled for June 14-17 in Almaty, Kazakhstan. 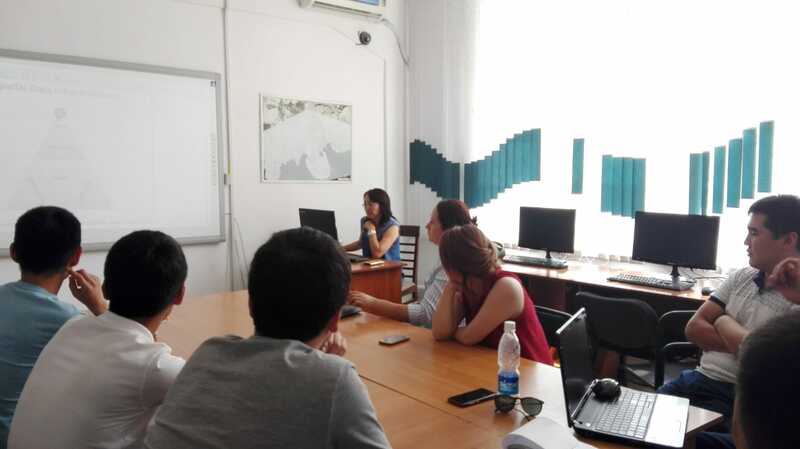 The main objectives of this English language conference are to bring together GIS academics, researchers and practitioners from Central Asian and other countries and to encourage international cooperation and knowledge exchange in GIS education. 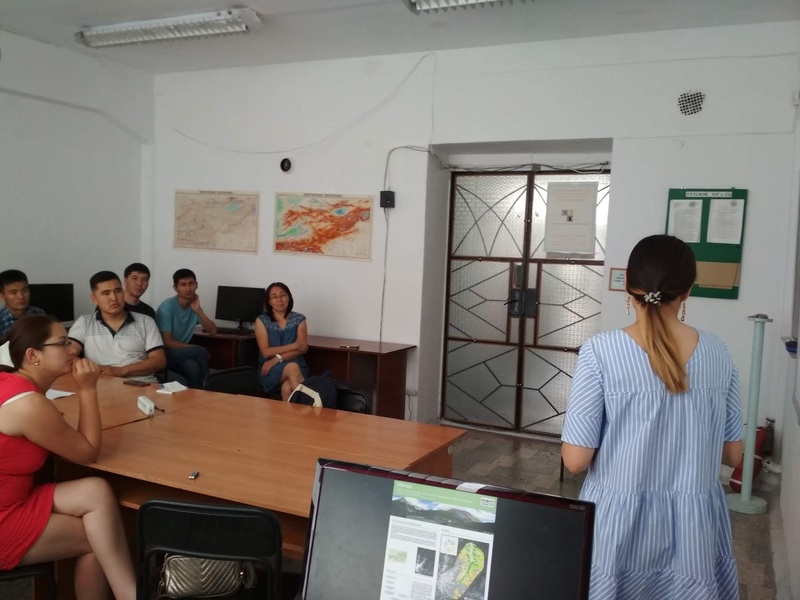 GISCA 2018 is being organized locally by the Al-Farabi Kazakh National University with support from the Research Centre for Ecology and Environment of Central Asia (Almaty) and the Xinjiang Institute of Ecology and Geography, Chinese Academy of Sciences. 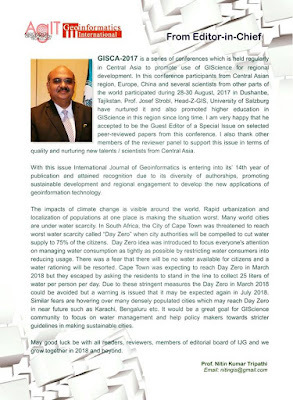 The GISCA conference series and its publications are managed by the Austria-Central Asia Centre for GIScience - ACA*GIScience supported by the Eurasia-Pacific Uninet and the Austrian Academy of Sciences’ Commission for GIScience. The conference looks forward to additional sponsorship from the Geoinformatics industry. The conference committee accepts scientific papers on the stated conference themes with a focus on the Central Asian Region. Active participation in the conference is invited via presentation of a paper or poster, or through workshop attendance. 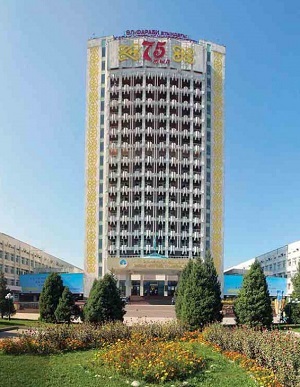 Accepted papers in English will be reviewed and published in the News of Al-Farabi KazNU. Selected papers will be recommended for publication in the International Journal of Geoinformatics (http://e-geoinfo.net). We request to disseminate this CFP to all interested GIS educators and professionals. The deadlines are March 31, 2018 for submission of paper abstracts and May 14, 2018 for accepted full papers by email to gisca18@aca-giscience.org. 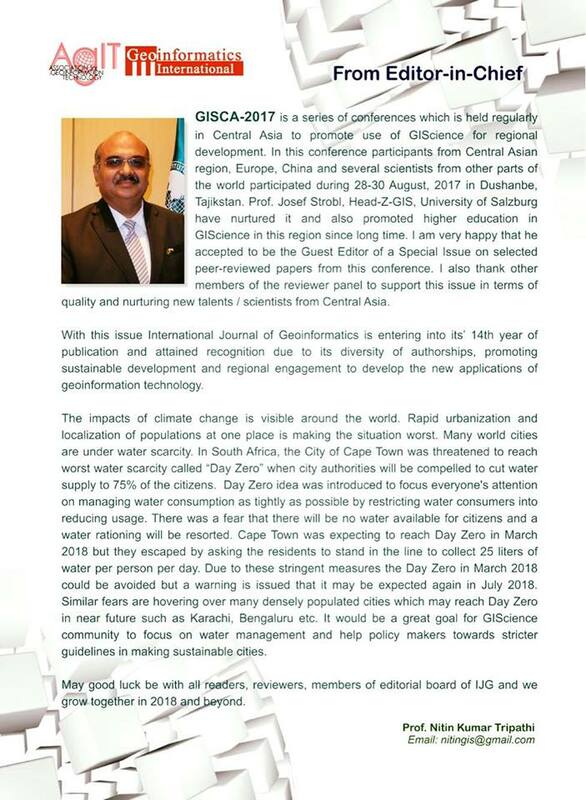 All information about GISCA 2018 registration, preliminary agenda, paper submission and visa application procedures are available at https://gisca2018.wordpress.com. Working with geospatial technologies today is trending towards online applications, in many cases replacing desktop software installations with browser-based access to online functionality. Approx. 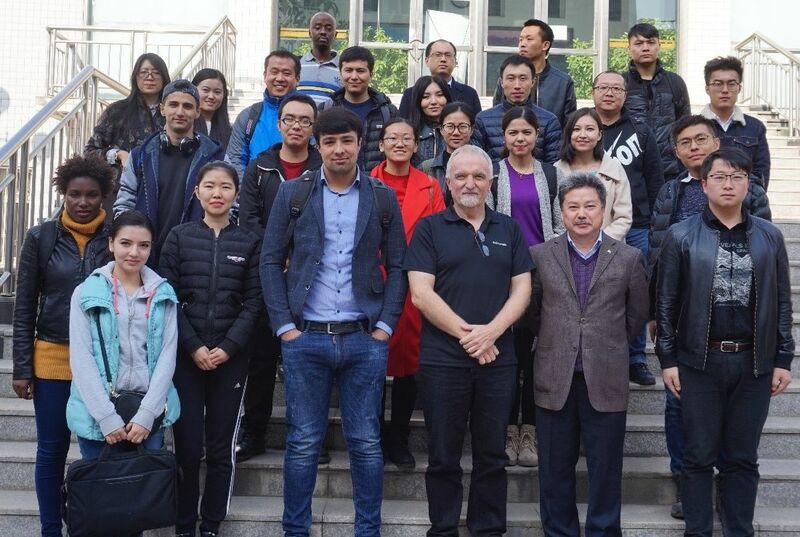 30 graduate students and faculty met at the Xinjiang Institute for Ecology and Geography (XIEG) of the Chinese Academy of Sciences in Urumqi from Nov 2-5 for an experience in leveraging the rich collection of services offered by global spatial data infrastructures. Prof Josef Strobl from Z_GIS challenged the participants to compile, design and share their first online maps, and to recognize the differences between traditional static maps vs dynamic, interactive map-based interfaces at the core of online geo-media. One full day was dedicated to creating decision-support information from available data through spatial analytics, before everyone embarked on the journey to build a web-app as well as a storymap to ‘communicate spatially’ with their respective target audiences. 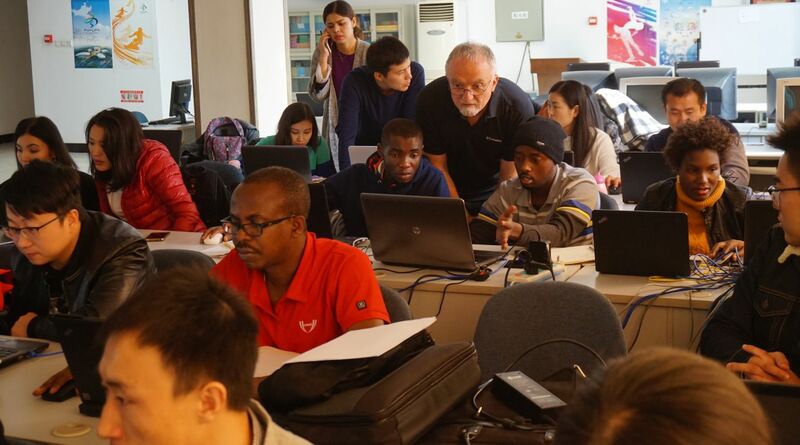 Participants from all across Central Asia (and Rwanda) accepted this challenge, built valuable skills and will implement their new competences in their thesis projects and professional as well as academic environments. Thanks are due to Prof Alishir Kurban and his team from CAS-XIEG for organizing this workshop, and for providing an excellent learning environment. Looking forward to seeing lots of shared maps, apps and storymaps online in the future!